I’ve been looking forward to this event ever since it came up on the BC website. The total event consisted of 2 days racing, broken in to 3 stages. Saturday morning would be a 1h30min crit and Saturday afternoon was a 2.3km hill climb. This was followed by a 54mile road race on Sunday. It’s not often we get chance for a full weekend of racing so I wanted to make the most of it. I persuaded my wife Jen and my Mother and Father in Law, Cliff and Diane, to come along with our son Ted and make it a weekend mini break! How did I manage that?? 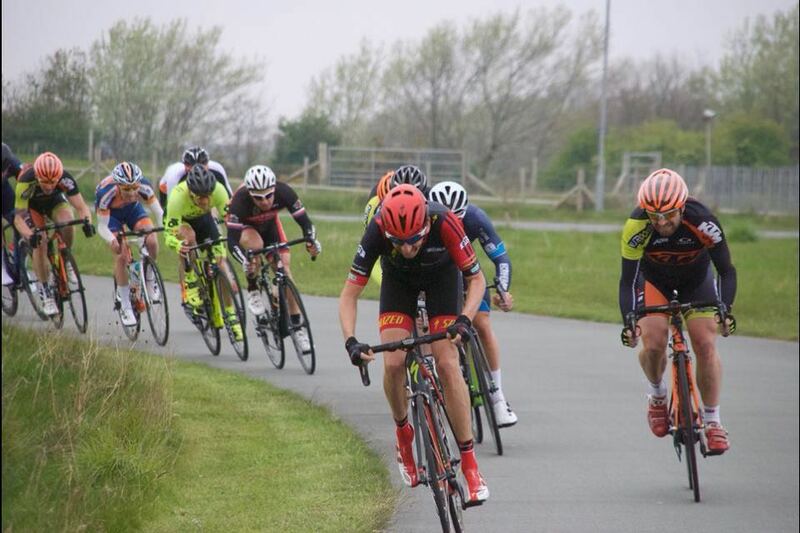 This was a 1h30min crit around the Marsh Tracks circuit. I can’t say I was looking forward to this having been taken out in a crit (1hr) the previous Thursday night. Our hotel was only 10 minutes away from the circuit so I managed to get a good lie in. John, Ste, Paul, Karl and Craig all arrived in good time and everyone was nervous about this race. 90minutes of crit racing around a very twisty circuit with 85 riders would be an experience. Sure enough when we got going the pace ramped up and you could feel the nerves. Riders twitching around every corner, screams of ‘hold your line!’ made for a very unpleasant first 20 minutes. I’d also found myself near the back, so with the bungee cord effect, it was a full sprint out of every corner and this was sapping my energy way too quickly. So I decided to put an effort in and move closer to the front. This was harder than usual due to the number of riders, the pace of the race and the lack of straights. Once I made it up front I found that it was just as hard to stay there. There were constant attacks for the first hour with constant chases. As Craig described it… “sprint, chase, repeat!”. My legs were feeling pretty tired and at the hour mark everyone seemed to settle, the nerves had gone and we could all corner with peace of mind that we weren’t going to be taken out by the fat fourth cats with hairy legs. This was the ideal moment to go and it did. A 5 man break consisting of some strong experienced racers got away without anyone from Chronomaster. We settled with the pace of the bunch to see if anyone was going to bring it back, but with 20 minutes to go it seemed like the teams with riders in the break were controlling the bunch. Craig came back and got me from the middle of the pack and we went to the front to encourage a chase. We worked hard and brought the gap down from 45 seconds to 17. However, the lads from Omnipex BioRacer RT and Champ Systems where effectively disrupting our chase. With just Craig and me doing the work we were down to 2 riders chasing 5 and the gap soon went back out to 25 seconds. Congratulations to Kirk Vickers for the Stage win. 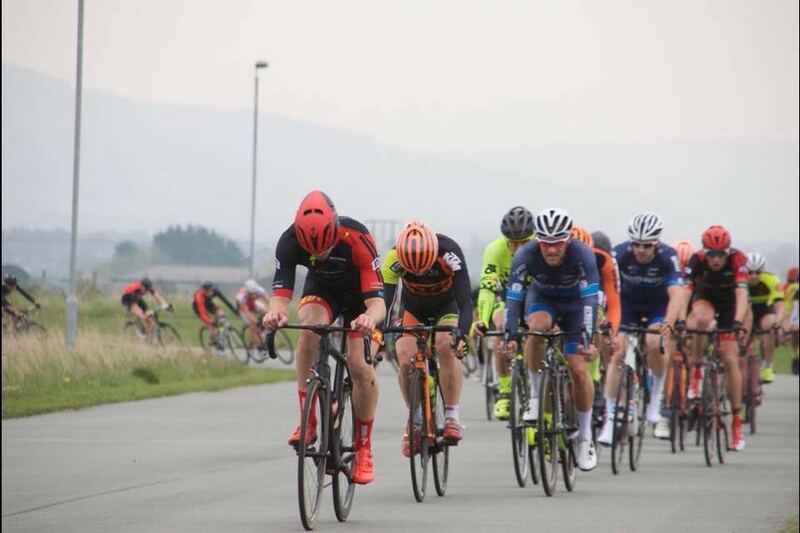 This entry was posted in Results and Reports and tagged Adam Baines, Craig Battersby, Karl Owen, Paul Beech, Stephen Feeney. Bookmark the permalink.